Chevrolet Performance’s COPO Camaro program returns for 2014 with another limited run of factory-produced race cars and a pair of new racing engine choices. GM made the announcement at SEMA 2013 in Las Vegas, NV. Looking to purchase one of the exclusive models? Visit ChevroletPerformance.com for detalis. Weld Racing confirmed recently that their forged wheel, which was shown on the concept vehicle at SEMA, will come as standard equipment on the 69 models built the 2014 model year. The wheels, of which full-scale production began back in March, are direct descendants of the revolutionary new Delta-1 drag racing wheels that Weld Racing developed and released for the Top Fuel Dragsters and Funny Cars, Pro Stockers, and Pro Modified cars, two years ago. 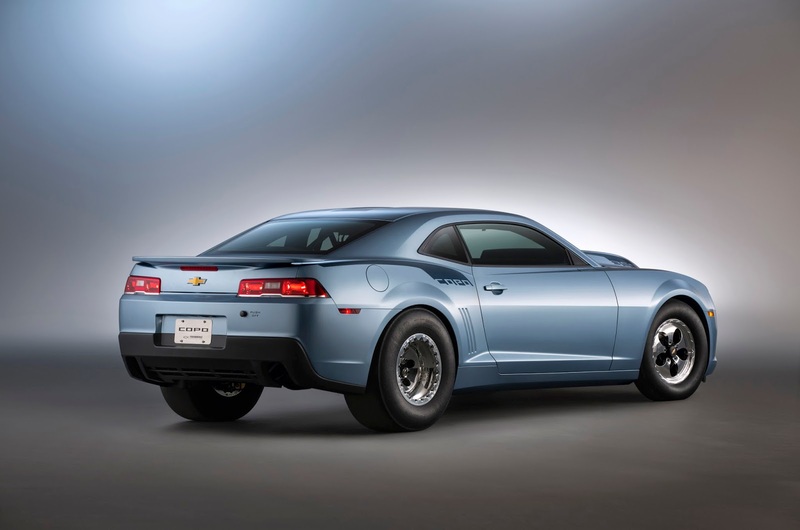 Serial number 1 of the limited-production run – the only one to be painted Ice Blue Metallic – was auctioned off for charity by Chevrolet Performance at Barrett-Jackson’s annual January event in Scottsdale, Ariz. The car sold for $700,000 with the proceeds going to charity. Each COPO Camaro race car is built by hand starting with hardware from the General Motors Oshawa, Ontario assembly plant that manufactures regular-production Camaros, including the same body in white body shells (part number 19243374) racers can purchase from Chevrolet Performance, along with other COPO-specific parts, to build their own dedicated race car. Each production car is fitted with an NHRA-approved roll cage and other safety equipment, along with racing chassis and suspension components – including a unique solid rear axle system in place of a regular-production Camaro’s independent rear axle. The newly designed racing engines include a revised version of the naturally aspirated 427 engine and supercharged version of the 350 engine introduced in 2013. It will feature a 2.9L Whipple screw-type supercharger. Naturally aspirated 350 and 396 engines are also available. Customers select the engine based on their intended NHRA racing class. They can also purchase all four engines, each serialized to match the car. The 2014 COPO Camaro also includes new racing seats, updated graphics and a new, available wheel design. The same high-performance engines used in the COPO Camaro production race cars are available as crate engines for racers building their own Camaro race cars. Each is engineered for NHRA’s Stock Eliminator and Super Stock classes, offering sportsman racers a range of factory-developed-and-assembled racing engines. The COPO crate engine family grows to five for 2014 and includes a naturally aspirated 427 7.0L engine, two 5.3L supercharged 327 engines – a new combination using a Whipple twin-screw 2.9L supercharger and the other using a 4.0L Whipple supercharger – and all-new 396-cubic-inch and 350-cubic-inch naturally aspirated engines. Each is assembled by hand at GM’s Wixom, Mich., racing engine shop. The 427, 396 and 350 engines are designed to cover NHRA’s Stock Eliminator classes from E to AA. Curb weight adjustments are the primary requirement for class qualification. 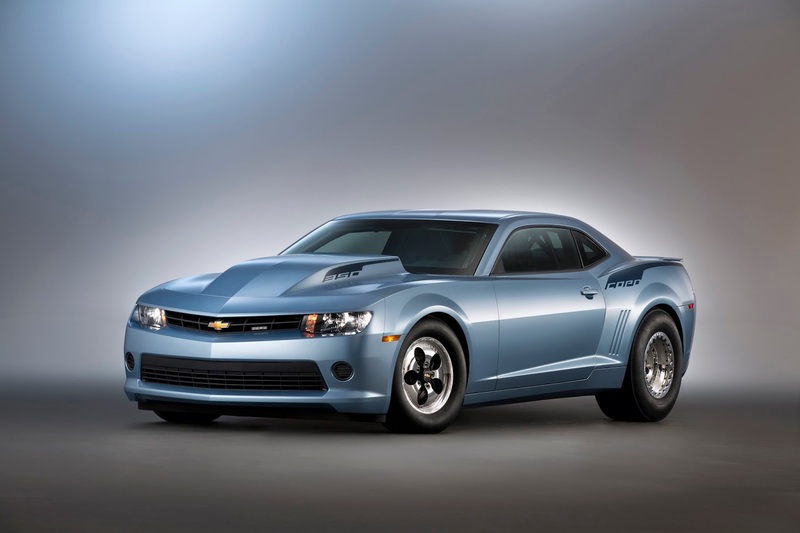 Chevrolet Performance engineers designed and tested the engines with the same methods used to develop production engines, ensuring their performance and durability. A Holley engine management system is included with each engine. Genuine GM Accessories 88958767 COPO Camaro Build Book provides an insider’s look at the assembly of the production race cars through hundreds of color photos. Additionally, the book includes detailed specifications for NHRA classification and descriptions of the aftermarket parts and their manufacturers used for the production vehicles. Important start-up, warm-up and pre-/post-race procedures are also included as well as fluid and maintenance recommendations. The book is available from Chevrolet Performance retailers. Racing enthusiasts interested in more information on the COPO program can follow the latest COPO information at theblock.com – the online automotive community powered by Chevrolet Performance.